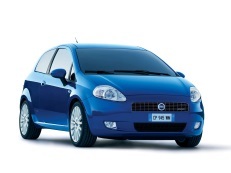 Correct Wheel Sizes, PCD, Offset, Rims and Tire specs for Fiat Grande Punto series. My 56 Reg 1.4 Fiat Grande Sport has smaller tyre size 175/65 R15. HI,Marcus,for upgrade rims,You need to mention two point,1.the wheels size 2,The tire size. For wheel,You can try to confirm all your 16 inch rims whether they have 16*6.0 and offset betwen 40-48mm.the bolt pattern is 4*100.for the tire,you can try 195/55/16.if you can find these data,you can check our "alloy wheel fitment"
but in my country its hard to find this size what is the other size for my car ??? 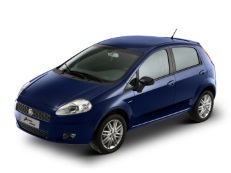 What 15 inch alloy sizes can I fit to my Grande Punto 2007? Found a used set with fronts 195/45/15 backs 195/50/15 ET38 6,5J would they be ok or would I have to change the tires? Hi,Joel,Yes, you can put 16'',but you also need to change 16'' tires. How about 17 inches wheel on 1.2 Fiat punto grande 2008? Hi, I have a Grande Punto 2006(95hp), 5 door version. Is it possible to fit 17" wheels with 215 tires. ET41. ? Hi, i have Grande Punto 2006 75, 5 doors and it currently had tyre size 175/65 R15 6J ET 43. Could be possible to use 195/60 R15 7J ET 36? Hello, yes it is possible to use 195/60R15 7J ET36. Hello. I have a grande punto 2007, can I use 185 / 65 / R15, 4 x 100, ET 49 ? Hi. I have a 2010 fiat punto grande. Would a set of 15" calibre motion 2 alloys be suitable for this car as I've been told by a mechanic that they are not suitable. Pls advise?? Good day, I have a fiat punto 2007 model. current tyres are 175/65 R15. I need new steel rim. Do you have the size? Hi,Colette,We have not steel rims size,But i can give you alloy wheels size.15*6 ,et 39,pcd 4*100.Hope it can help you. I presently have 195/60R15/88T size tyre, my car Punto Grande. Should I replace with the same size or can I change the size. If yes, what are the sizes? Hi,Reetta,195/60/15 is compatible for your car.And if you want to change tire size?Which tire size you want?15'' or 16''.Then i can help you confirm a tire size.